Thank goodness it was a spring training game because I hate to see any great pitching performance from this potentially Amazin’ staff go in vein. 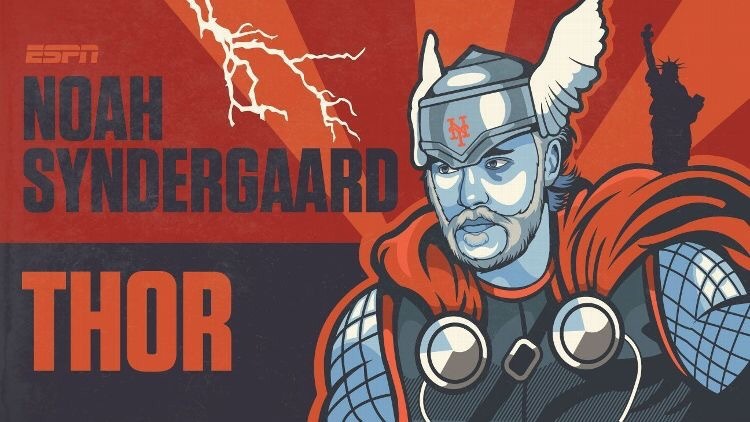 Syndergaard went six innings giving up only four hits, he also struck out five Astro’s in the process while giving up an earned run as the Mets were shut out by Charlie Morton & the Astro’s. I’m never one to pay too much attention to statistics during spring training but hey, when they’re good, no reason to really ignore them, embrace them. Syndergaard has been pretty sharp for the majority part of the spring & his numbers are backing it up as he’s putting up a 2.63 ERA so far. He’s not far away from being in mid season form & once he gets in that groove, these MLB batters better be prepared. Reyes had a two hit game, going 2-3. The Mets only racked up 5 hits in the shutout so it was good to see Reyes be the only player to pick up multiple hits making him my offensive player of the game. Granderson & Flores each picked up singles as well.